So when I was contacted by Sainsbury’s to feature fairtrade bananas I already had a good idea what I wanted to do. I was pleased to learn that all of the bananas sold by Sainsbury’s are fairtrade and have been since 2007. They claim to sell more than all the other retailers put together. According to the Fairtrade Foundation, the UK’s purchase of fairtrade bananas is responsible for keeping the Windward Islands afloat (get it). They also enable many smallholders in other parts of the world to retain a living and improve their communities. Avocado – beneficial for cardiovascular disease and diabetes, helps with weight management, enhances body’s ability to absorb nutrients and is high in potassium. Banana – high in antioxidants, vitamin C, potassium, fibre, magnesium, mangenese and copper. Chocolate – raw cocoa in particular is full of antioxidants and is said to be good for the heart, as well as relieving tension and giving feelings of well-being. The essential fatty acids may raise good cholesterol and reduce bad. There is still a lot of controversy as to whether this is true of the roasted chocolate we are all more familiar with. The mousse was creamy and soft but not runny. It was certainly rich although it had the consistency of a chocolate pot rather than that of a mousse. One coffee cup was enough at one sitting. Although we couldn’t taste the avocado, it gave a substantial creamy richness in an “I can’t believe it’s not butter” kind of way. There is no mistaking the banana flavour and the chocolate is quite powerful too. The nutmeg adds aromatic piquancy, just what is needed in this custardy creation. CT thought it was a real tropical delight, unlike the weather we’ve recently been experiencing. He described it as a one pot wonder. He then blew it all with his unflattering remarks about reliving his baby food experiences – bet he was never lucky enough to get anything as good as this in his infancy. A rich and creamy chocolate mousse that is not only delicious, but also healthy and made entirely with raw ingredients. It’s dairy, gluten and refined sugar free as well as being vegan. It’s also very simple to make. The date syrup used for sweetening can be exchanged for agave nectar or honey. Place all ingredients into a blender or food processor and whizz until everything is thoroughly combined and smooth. Spoon into 4 serving dishes. Can be eaten immediately or kept covered in the fridge for a couple of days. As this is uber healthy, I’m also sending it over to Franglais Kitchen and How to Cook Good Food for One Ingredient, which this month is healthy. Disclosure. I was sent a Sainsbury’s voucher to buy the ingredients for this recipe. There was no requirement to write a positive review. As always, all opinions are my own. Oh that sounds amazing Choclette! 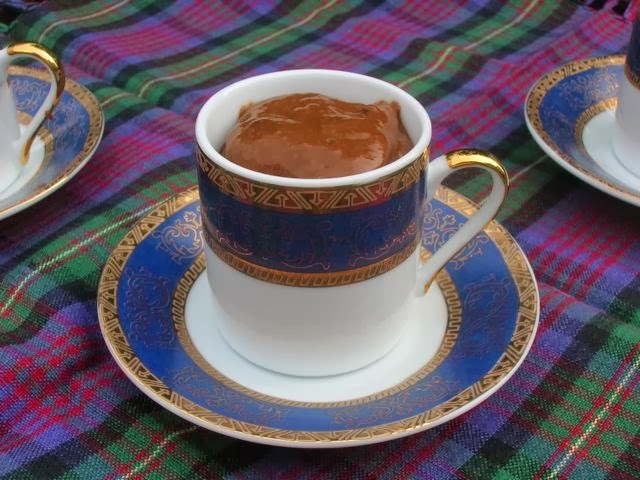 When I was thinking about making my Chocolate & Avocado Mousse (which I thank you very kindly for the mention of!) I thought of adding banana but being that I had none in it went without! Your recipe sounds exceedingly yummy, especially with the date syrup and nutmeg additions. And I hadn’t realised all Sainsbury’s bananas were fair trade, well done Sainsbury’s that’s a wonderful credential! Heard of avacados in baking untl recently .Can feel the simple,delicious ,creamy goodness in every bite ..
Oooh, yes, I make something like this all the time. You can do it with tofu too – which is an excellent way to sneak tofu into the diets of people who claim they don’t like it. Very kid-friendly too! 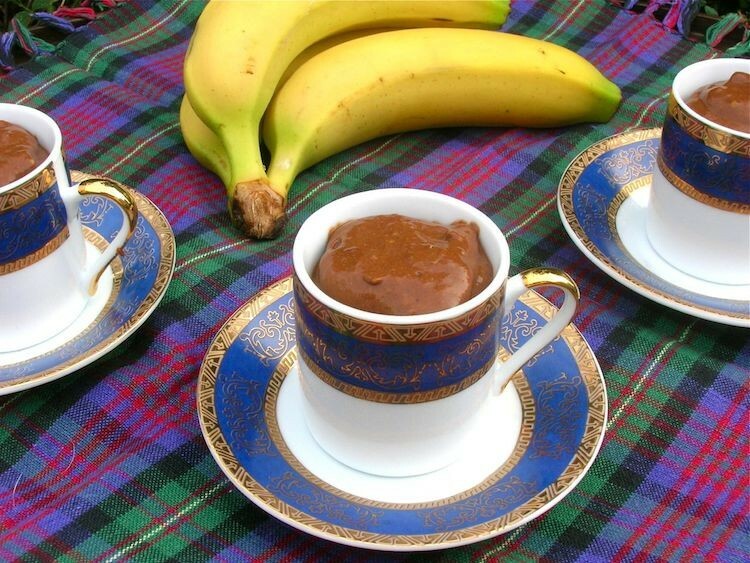 I’ve made chocolate and avocado mousse, chocolate and banana but never all three together! This looks really good and I love that it’s healthier than regular mousse. This looks delicious! Will definitely be giving it a try, thanks for the post. I totally love the combo of ingredients in this. Avocado just rocks. I make this for Cooper, but I use silken tofu in mine for extra protein. Your mousse looks gorgeous and I’m now craving an avocado, which I forgot to buy last night. Love, love love this! Am pinning it on my dairy free board, thanks Choclette! Delicious chocolate mousse. I like the addition of banana. I still have to try this avocado thingy. I almost always do guacamole, when I get avocados. Lookin good, girl! 🙂 Followed you here from Sainsbury’s Fairtrade roundup!